You are here: Home / Money / Business / The State of the Black Union. 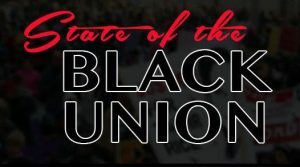 The State of the Black Union. (ThyBlackMan.com) During the month of February in America we celebrate Black History Month. As we celebrate the achievements of Blacks in the making of this great country, I can’t help but think about the state of the Black community in 2019. We, as a community, must stop asking others to do for us what we should be doing for ourselves. We have more education than our parents and grandparents; yet have a lower quality of life; we have more opportunities than our parents and grandparents; yet have less to show for it. We have more Blacks in elected political offices than ever before; yet our economic indices in cities run by Blacks are horrible, i.e. Washington, DC, Baltimore, and Atlanta to name a few. How did we, in the Black community, get to where it seems to be open season on our people by law enforcement? Yes, racism still exists; but racism is not the cause of the condition of our community. According to the Centers for Disease control and Prevention, over 70% of Black babies are born to unwed mothers. It is estimated that since the Roe v. Wade Supreme Court decision legalizing abortion in 1973 that over 16 million Black babies have been murdered; 55 million babies in total. In New York City every year more Black babies are aborted than is born. Yes, you heard right. According to their Health Department, between 2012 and 2016, 136,426 Black babies were aborted versus 118,127 babies born. Blacks are the only group in American that have more babies aborted than born! The solution to this culture of death in the Black community specifically and America in general is very simple. We need to reconstitute the family unit; meaning mother, father and children. These perverted variations of the traditional family unit will not restore our traditional values back to our community or our society. But yet the media appointed Black leaders and their radical liberal groups spend all of their time promoting homosexuality, amnesty for illegals, and Planned Parenthood. When have you ever heard the Congressional Black Caucus, the N.A.A.C.P, or the National Urban League talking about the traditional family unit is key to righting the ship in the Black community? When have you ever heard Al Sharpton, President of the National Action Network, Derrick Johnson, President and CEO of the N.A.A.C.P., or Marc Morial, President of the National Urban League talk about the family unit; or telling girls to keep their damn legs closed if they cannot financially afford to care for a child? According to Planned Parenthood’s 2017 annual report, they had total revenue of $ 1.3 billion, $ 555 million from the federal government. They made a profit of $ 77 million. Yes, they get paid to kill. They also have spent over $ 38 million in political campaigns between 2012-2016. Yes, they buy Black, Democrat politicians! But, in order to restore the Black community, we must turn away from the media appointed Black leaders. They have sold us out at every chance. Just imagine if we take the energy we put into hating President Donald Trump and Republicans into getting young girls to stop having babies before marriage; getting Black entertainers and athletes to hire Black C.P.A.s, publicists, lawyers, managers, etc. ; getting Black churches to stop caving in to the radical homosexual agenda; creating more Black entrepreneurs. The state of our union can be brighter, but you can’t have union without u n i.
Mr. Jackson is also founder of a political and industrial consultant firm which is based in Washington, DC; Raynard Jackson & Associates.